If you are looking at getting BT 2010 certified, there is just the book out there that you will need to prepare for the exam 70-595. Authors include Johan Hedberg, Kent Weare & Morten La Cour. The book covers everything from BizTalk basics to WCF to RFID to BAM. Having said that, the book is to the point and compact enough to get you scoring soon! 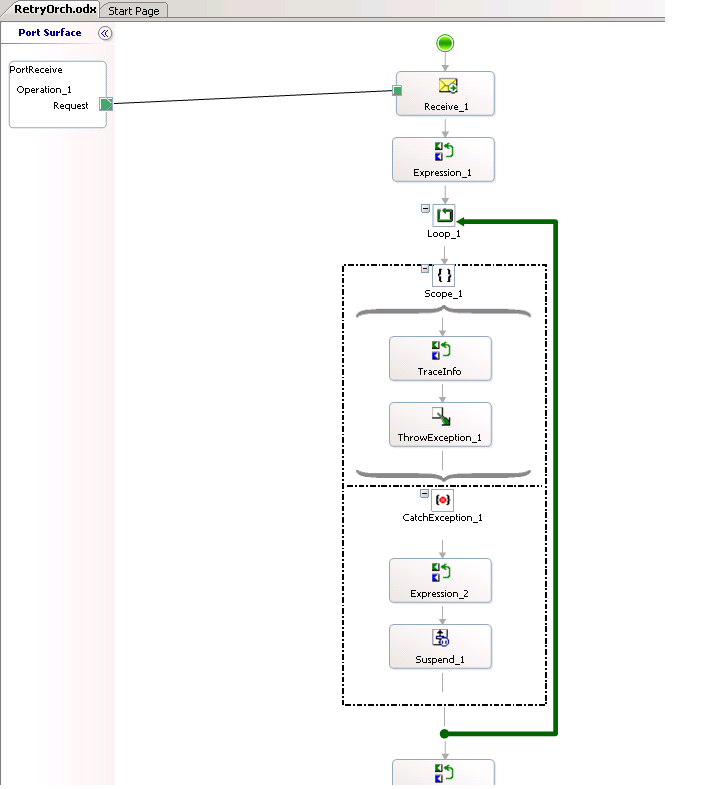 Retry pattern and Suspend shape – the gotchas! One would hope that when the administrator resubmits the suspended message, it would continue from the point it left of (that is continue in the loop). However, what I saw was, the orchestration would go into the “active” state indefinately. 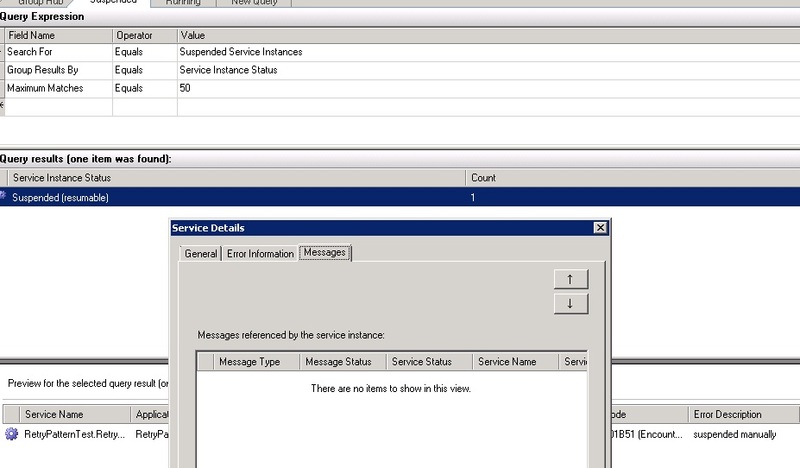 Also, when trying to terminate this active instance, the terminate job would show as pending and the service wouldnt terminate unless the host was restarted. Further investigation revealed that the suspended orchestration has no related message (or context). See screenshot below. To eliminate any false positives, I deployed the same app on our test environment and saw that there was a message linked to the suspended orchestration. This is where I was stumped! 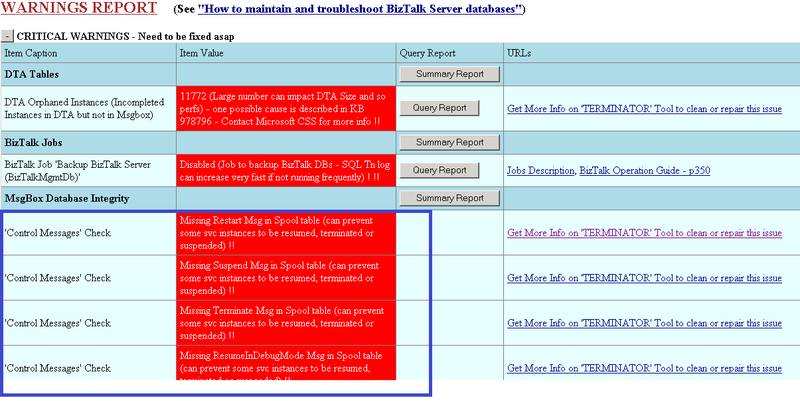 The value “Missing Restart Msg in the Spool table…” was the light at the end of the tunnel. I quickly ran the Terminator tool to clean the messagebox. Once done, I ran the MBV analysis again and all critical warnings were gone in relation to “Control Messages”. 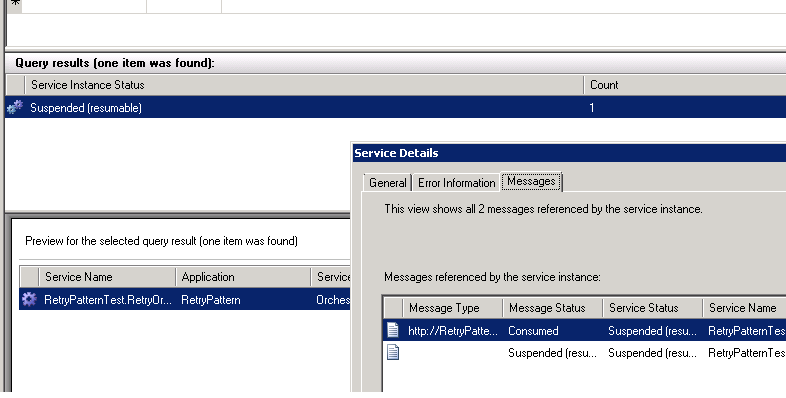 I then tried my test again and saw the messages were now linked to suspended orchestrations…. Hope this helps someone having similar issues. Certain blogs suggest that registry changes be made to force it to work. This is a bit risky once it comes to prod environments. 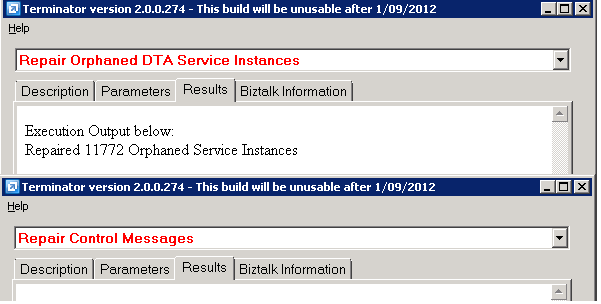 The best approach to fix such issues is to repair the BizTalk installation and try configuring BizTalk again.